As we mark the centenaries of the Russian revolutions (1917) and the end of the First World War (1918), we should remember how these events are connected through the abandoned Stockholm Peace Conference and, given their anti-imperialist narratives, how they impacted the colonial world. Despite the attendance of Indians, Egyptians, Persians and Turks in Stockholm, the scant historical inquiries into this might-have-been moment tend to neglect how such anti-imperial ambitions were tied to world peace. In the wake of the hard winter of 1916-1917 and following the February revolution in Russia, Danish socialists Frederik Borgbjerg and Thorvald Stauning began discussions about a peace conference to be held on neutral territory, but they needed wider support among the divided Second International. 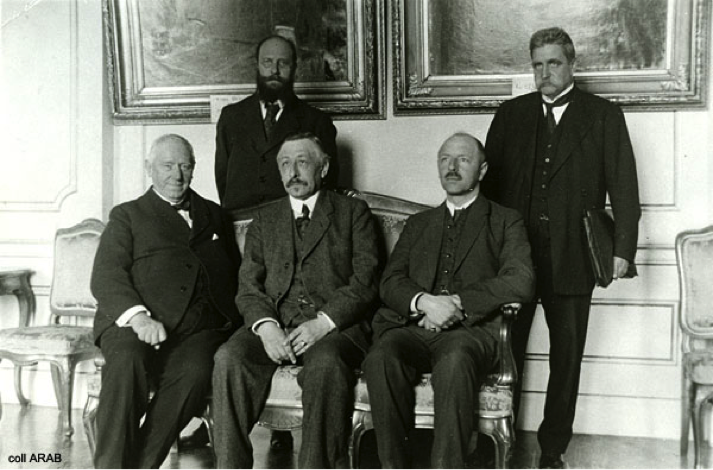 On 15 April 1917, the Bureau of the Socialist International, led by Camille Huysmans, decided to relocate to neutral Stockholm to prepare for an international socialist peace conference to be organised by the Dutch-Scandinavian Committee (van Kol, Troelstra, Albarda, Branting, Stauning). Although the International Socialist Committee, also known as the Zimmerwaldians, also converged on Stockholm in the summer of 1917, they never committed to the Dutch-Scandinavian conference proposal and eventually pulled out. In addition, the Petrograd Soviet bloc made up of Bolsheviks, Mensheviks, Socialist Revolutionaries, still united after the February revolution, eventually constituted a third strand in Stockholm, now making up the Russian-Dutch-Scandinavian Committee. As these three blocs negotiated throughout the following six months, the proposed date for the conference was postponed again and again. With Lenin’s return to Russia and the Bolshevik rise to power in the autumn, it became clear that the peace conference would not materialise. Moreover, conflicting attitudes towards potential peace agreements and the question of Turkey’s position within Europe and imperial interventions in the Middle East meant that the British Prime Minister Lloyd George, following the lead of the American government, eventually refused to issue passports to anyone intending to attend the conference, a stance soon adopted by the French and Italian governments, as well. Naturally, such questions attracted the attention of Persian, Egyptian and Indian nationalists, too. Tying the question of Indian independence to European socialism, Indian nationalists had previously attended the International Socialist Congresses in Amsterdam (1904), Stuttgart (1907) and Copenhagen (1910), but not as official delegates. Operating throughout Europe and the Middle East, the Indian nationalist Virendranath ‘Chatto’ Chattopadhyaya had set up the Indian Independence Committee in Berlin in September 1914, officially attached to the Nachrichtenstelle für den Orient under the German Foreign Office. Sensing the turning tides of the war and attempting to sever ties with the German-controlled Committee in Berlin, he arrived in Sweden in mid-May 1917 on a German visa and, with his long-time collaborator, M. P. T. Acharya, formally set up the Indian National Committee in Stockholm in July 1917. Six other Indians, among them Abdul Hafiz and Taraknath Das, later joined them for short visits, and Lala Har Dayal arrived in October 1918, primarily to care for his ill health at the nearby Saltsjöbaden retreat. In response to this influx, the British Government discussed ‘the possibility of sending a trustworthy Indian to Stockholm who could put the case from a loyalist point of view’. Chatto and Acharya, residing at Roséns Pensionat on Grev Turegatan, set up office five minutes away on Artillerigatan, and shared the premises with the Friends of Irish Freedom, a New York-based Irish Republican organisation. Carrying out propaganda in the Scandinavian newspapers, and agitating among the European and Russian socialists gathered in Stockholm, the Indians met with the Dutch-Scandinavian Committee on 12 July 1917 – described by Huysmans as ‘the day of the barbarians’, according to Gerhard Höpp – but little came of it. At the meeting Troelstra noted that ‘the Indian question is very important. But it is a diversion’. In response, Chatto protested to Huysmans that, ‘we entertain the hope that International Socialism will rise above the mean and sordid passions of the hour and raise its voice on behalf of all suffering and subject nationalities’. Their pamphlet Speeches and Resolutions on India at the International Socialist Congresses—a brief summary of resolutions concerning India at the international socialist congresses in Paris, Amsterdam, Stuttgart and Copenhagen—seemed almost redundant after the peace conference was abandoned. Chatto rebuked the manifesto of the Dutch-Scandinavian Committee, writing that ‘the “peace” manifesto lately issued by you has exposed once for all the insincerity of West-European Socialists and justifies us in looking upon the Dutch-Scandinavian Committee as agents of the subtle and cruel imperialism of the so-called Western democracies’. The Indian National Committee achieved little from their activities in Stockholm, revealing the limitations of international socialism in relation to the colonial question. Nevertheless, Chatto and Acharya remained in the city and continued to agitate among Swedish politicians and in Scandinavian newspapers. 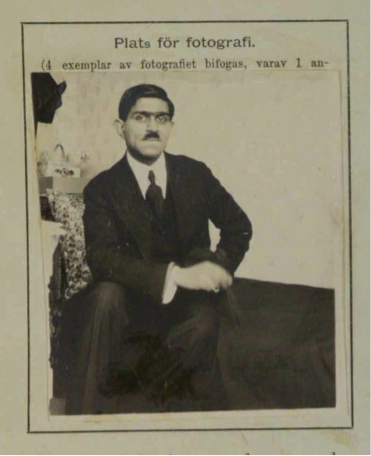 Making his living as a journalist, translator and teacher, Chatto also gave Hindi lessons at Stockholm’s Borgarskola – a school for young people in trade or crafts occupation – but the Swedish intelligence service still considered him ‘one of the most dangerous international anarchists’ due to his involvement in the ‘bomb plot of Zürich’ in 1915. Once the First World War was over and the dust of the Russian Revolution had settled, though, the Indians tied their aspirations for independence to the Communist International and relocated to Russia and then, later, to Berlin. Acharya was involved in setting up the exiled Indian Communist Party in Tashkent in 1920, but clashed with the other Indian leader M. N. Roy and moved to Berlin in 1922 to join the Anarchist-Syndicalist International. Chatto, expelled from Sweden in 1921, also moved to Berlin and became instrumental in the League Against Imperialism with Willi Münzenberg. After the rise of the Nazis in 1930 and on advice of Georgi Dimitrov, Head of the West European Bureau of the Comintern in Berlin, Chatto fled to Russia in 1931 and worked at the Institute of Anthropology and Ethnography in Leningrad. Arrested for treason on 17 July 1937, Chatto was executed in Stalin’s purges on 2 September 1937. In response to Chatto’s arrest, Acharya wrote in The Mahratta that ‘I have no sympathy with the corpse-like discipline of Chattopadhyaya to the Stalinist ideology, but since he is corpse-like and would not change so long as the outer world is capitalist, I assert without any hesitation or fear of being controverted that these charges of being Trotskist or Fascist or any other ist but Stalinist can only be lies’. In other words, giving up on European socialism, the turn to the Communist International, too, became detrimental to key figures like Chatto and Acharya. Looking back upon the First World War and the Russian Revolution a hundred years on, these events clearly had a great impact upon the colonial world. And, for a brief moment in Stockholm in 1917, it looked like a peace agreement might also alter the course of European imperialism and yield independence to India, Egypt and Persia. This missed opportunity of 1917 nevertheless helped spark continued anti-imperial socialist agitation for decades to come. Ole Birk Laursen (Research Affiliate, the Open University) is a historian of Black and South Asian people in Britain and Europe with a particular focus anti-imperialism and anarchism. In addition to book chapters and journal articles on Indian nationalism, his book The Indian Revolutionary Movement in Europe, 1905-1918 is forthcoming with Liverpool University Press (2019). Meynell 1960; Kirby 1974; Kirby 1982; Stevenson 1991. Thank you for this article about something I knew nothing about. I have always been interested in how the fights for independence against imperialism, particularly but not exclusively with regard to India, manifested themselves, regardless of their success. I never knew about any of this – nor did I learn about Chattoo or Acharya as a schoolboy in newly independent India. Characters caught up in a minor game. Besides, the ordinary European people do not seem to have been much bothered by Imperialism. On the contrary, they gloried in it. (The attitude of the Brits ruling India is an example.) I have lived in Europe since 1975. The imperial past has simply been airbrushed out.